Home / Blog / George says the snow in his garden is disappearing fast. 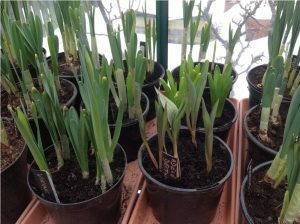 In George’s garden the snow is disappearing fast and he has swept the white stuff off the glasshouse roof, essential so the light can get to the pots of bulbs. 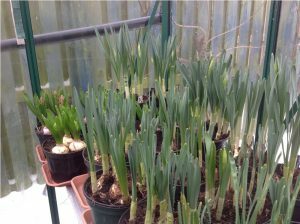 The pots of Hyacinths and Scamp Challenge bulbs are doing well and have come through the cold spell relatively unscathed. His Caley pot of Viking is already showing good flower bud development. 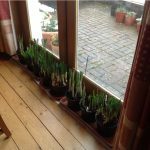 He will photograph The Caley bulbs later in the week so that we can see how they have progressed in the ten days since they were last photographed. 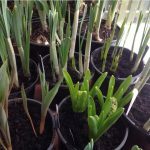 In the meantime check your pots of Caley bulbs. 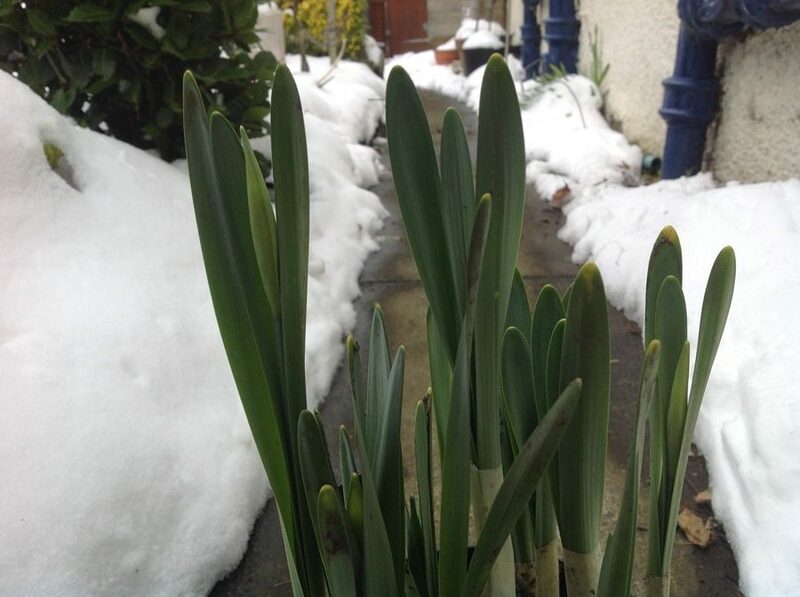 Don’t be frightened to remove the snow from them and make sure that they are placed on the south side of the house or somewhere where they can get plenty light. Also, if you can, bring them into the house for a couple of days and place them near a window George will be doing the same.